e driving around Avon, Indianapolis, or Plainfield when a light appears on the dashboard, you might grow somewhat concerned. However, each light represents something different. Some show that a system has been activated, while others could signify a malfunction. We’ll show you the differences among the Toyota RAV4 dashboard lights in this helpful guide. Learn what they represent, and contact Andy Mohr Toyota if you have any questions. Seeing BRAKE in all caps could designate several things. The brake fluid may be low, or the brake system may be malfunctioning. However, the light could also come on if the parking brake isn’t fully released. If the light turns off once that brake is released, then you should be good to go. When you see a steering wheel with an exclamation point next to it, then there’s a possible malfunction in the electric power steering system. If the light pops up, you’ll want to have your RAV4 looked at right away. This light appears as a person wearing a seat belt, and it simply means that the driver or front passenger hasn’t completely fastened their seat belt. Once that’s done, the light should turn off. 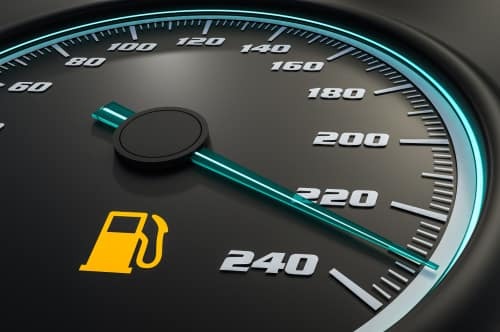 When you see an image of a fuel pump, then you know you’re running low on gas (at 2.4 gallons or lower remaining). Fill up the tank as soon as possible, and the light should then go away. This indicator light is represented by two arrows facing away from each other. If you signal left, the left arrow will blink. And if you signal right, the right one will blink. This light appears as a capital D with five horizontal lines to the left of it. 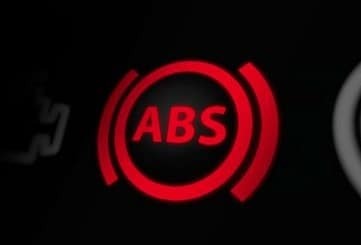 When you turn your high beams on, this indicator will pop up on the dashboard. When you activate Sport mode, you’ll see SPORT in all caps on the dash. This mode is great for sporty driving or traveling in mountainous regions. Cruise control is a great feature to use when you want to maintain a set speed without pushing on the accelerator. If your RAV4 is equipped with it, you simply press the ON-OFF button to activate this feature. Then, you’ll see the image of an odometer with an arrow pointing to it on the dash. The Blind Spot Monitor is an optional feature that’ll warn you when a vehicle is in your blind spot. You can manually turn this system on or off, if you’d like. When it’s turned on, you’ll see BSM in all caps on the dash. If any dashboard light appears in your Toyota RAV4, then our service technicians can take a look at it. While the light might be a simple indicator, it could possibly be a warning, so it’s better to be safe. So, if you see a dashboard light when driving around Avon, Indianapolis, or Plainfield, don’t wait. Schedule service at Andy Mohr Toyota Service Center today!